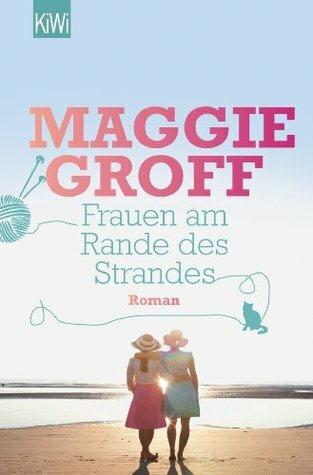 Maggie Groff Petra Knese - Maggie Groff is a multi-award-winning novelist, columnist and non-fiction writer living and working in Australia. She is the author of two non-fiction books: the best-selling Mothers Behaving Badly (1999) which showcased her hilarious experiences as a mother, and Hoax Cuisine (2001) which garnered a loyal following and led to a regular column in Fairfax weekend newspapers. Her first novel Mad Men, Bad Girls (originally titled Mad Men, Bad Girls and the Guerilla Knitters Institute) was published in 2012 and received rave reviews. It was nominated for the Ned Kelly Award and went on to win both Australian Sisters in Crime 13th Davitt Awards for crime fiction – Best First Fiction and Best Adult Novel. Her second novel Good News, Bad News was also published to high acclaim and voted one of the top fifty books you can’t put down in the 2013 Australian Get Reading Campaign. Both novels have been published internationally.Maggie’s latest book Not Your Average Nurse is a memoir of her richly-varied career working as a nurse at some of the world’s most iconic locations. Publication date is May 2017 in the UK and Australia.